How is the Honda Apprenticeship Programme Funded? The Honda Apprenticeship Programme is partially funded by the Education & Skills Funding Agency. 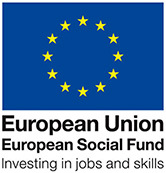 The Education & Skills Funding Agency receives some of their funding from The European Social Fund (ESF). The European Social Fund (ESF) was set up to improve employment opportunities in the European Union and so help raise standards of living. It aims to help people fulfill their potential by giving them better skills and better job prospects. The ESF is one of the five European Structural and Investment Funds (ESIF). From 2014, these operate under a common framework and pursue complementary policy objectives. They are the main source of investment at EU level to help Member States to restore and increase growth and ensure a job rich recovery while ensuring sustainable development, in line with the Europe 2020 objectives. What are the main changes for the ESF? Concentrating funding for achieving results: the ESF will focus its interventions on a limited number of priorities in order to ensure a sufficiently high critical mass of funding to make a real impact in addressing Member States' key challenges. The European Social Fund will be at the forefront of innovative managing rules to simplify implementation of projects. The Commission is helping Member States to simplify ESF implementation in order to focus more on the results and make ESF easier and safer for the beneficiaries. Getting people into jobs: the ESF will support organisations around the EU to put in place projects aimed at training people and helping them get work. Initiatives supporting entrepreneurs with start-up funding and companies who need to cope with restructuring or a lack of qualified workers will also be funded. Helping young people enter the labour market will be a top priority for the ESF in all EU countries. Social inclusion: employment is the most effective way of giving people independence, financial security and a sense of belonging. The ESF will continue to finance many thousands of projects that help people in difficulty and those from disadvantaged groups to get skills and jobs and have the same opportunities as others do. Better education: Across the EU the ESF is financing initiatives to improve education and training and ensure young people complete their education and get the skills that make them more competitive on the job market. Reducing school drop-out is a priority here, along with improving vocational and tertiary education opportunities. Stronger public administration: The ESF will support Member States' efforts to improve the quality of public administration and governance and so support their structural reforms by giving them the necessary administrative and institutional capacities. HME subcontracts the entire management and delivery of the Education & Skills Funding Agency (ESFA) contract to Raytheon Professional Services UKPRN (10024704) and this is reviewed in line with Honda’s financial year. to maximise quality of provision. professional training and development of programme employees is expected and regularly monitored. HME does not retain any fees to manage Raytheon Professional Services as a subcontractor and no fees are charged in order to support Raytheon Professional Services in programme delivery. 100% of government funding income received from the Skills Funding Agency (SFA) is passed from HME to Raytheon Professional Services for the delivery of the Honda Apprenticeship Programme to a minimum of Ofsted Grade 1 or 2. HME makes payments to Raytheon Professional Services for the delivery of provision as per the Service Level Agreement (SLA) agreed and signed by both parties. HME subcontracts the entire management and delivery of the Skills Funding Agency (SFA) contract to Raytheon Professional Services UKPRN (10024704) and this is reviewed in line with Honda’s financial year. The actual funding passed from Honda Motor Europe to autopeople (uk) limited for the management and delivery of the Honda Apprenticeship Programme was £499,026. Honda Motor Europe subcontracts the entire management and delivery of the Skills Funding Agency (SFA) contract to autopeople (uk) limited UKPRN (10013395) and this is reviewed in line with Honda’s financial year. Honda Motor Europe does not retain any fees to manage autopeople (uk) limited as a subcontractor and no fees are charged in order to support autopeople (uk) limited in programme delivery. 100% of government funding income received from the Skills Funding Agency (SFA) is passed from Honda Motor Europe to autopeople (uk) limited for the delivery of the Honda Apprenticeship Programme to a minimum of Ofsted Grade 1 or 2. Honda Motor Europe make payments to autopeople (uk) limited for the delivery of provision within 30 days as per the Service Level Agreement (SLA) agreed and signed by both parties. The actual funding passed from Honda Motor Europe to autopeople (uk) limited for the management and delivery of the Honda Apprenticeship Programme was £549,243. limited UKPRN (10013395) and this is reviewed in line with Honda’s financial year. The actual funding passed from Honda Motor Europe to autopeople (uk) limited for the management and delivery of the Honda Apprenticeship Programme was £443,285.